I personally don’t really care what people like Rekers and Nicolosi say. we Are born the way we are. God made us this way and we don’t need to be changed. We also shouldn’t have to put up with their stupid thoughts. I knew I was different at the age of six. That was in the early fifties. Does Chuck even read what he writes? On the one hand, they are telling their horribly misled flock that homosexuality is a choice. On the other hand, their doctor-consigliere writes that a 4 or 5 year old boy has a 75% chance of becoming a gay man. Clearly, the boy isn’t making a fully rational choice and it seems to hardly make sense to postulate a “choice” for a post-adolescent when an outcome is 75% likely. Dr. Throckmorton is saying we don’t know enough about how sexual orientation is formed. He is also saying we do know enough to know that trying to change a five year old child is harmful to the person for life. Thank you for introducing us to Warren Throckmorton. His article is well worth reading, a thoughtful critique of Colson, Nicolosi, and Rekers and the harm their words and work have done. He’s writing and speaking this way as an evangelical Christian to evangelical Christians. His message seems to be “stop harming glbt people” and while that may not be all we want, it’s progress to have someone saying that to those people. Thanks for this excellent article. I had been puzzled by Throckmorton for years, as he’s often cited. This clarification of his role in things was enormously helpful. What about the twin studies that show a definite genetic link but not a completely positive link. As I recall, the incidence of gay twins is 3 or 4 times (around 50%?) what it would be if there was not genetic link at all. Seems like a pretty strong link to me! Throckmorton has integrity. You don’t often find someone who will step back and reconsider his position in light of evidence, especially when the issue is a “culture war” hot button. Such a reevaluation is even more impressive in Throckmorton’s case, since, as a professor at a Christian college who had publicly put his name behind change therapy, he had every incentive to just dig in his heels and spin the evidence. The man has character, which is probably why Peter LaBarbera hates him. Colson, on the other hand, is a joke. His commentaries are rarely anything other than a mindless recitation of whatever culture war cliches or GOP talking points are hot that day. There is no introspection whatsoever. He recently did a piece endorsing the GOP’s plans to change Medicare and Social Security. He writes that the elderly need to start adhering to the Protestant work ethic and stop expecting things to be handed to them. Even more obnoxiously, he lectures them that they need to appreciate the benefits of “delayed gratification.” Gotta admit, I had never heard that concept applied to Grandma’s hip replacement or her money for food, but then I am not a loving Christian like Chuck. Well, no, he is not spreading lies. Homosexuality is *not* strongly related to genetics. In fact, what links that have been made are, so far, weak and somewhat circumstantial. About as weak and circumstantial as the studies that used to claim that it was all about parenting. It looks increasingly as though there are about as many “causes” of homosexuality as there are gay people. When all is said and done, we will probably find that there are multiple causes in multiple combinations, and that there are different explanations for many different people. Which, I think, makes sense anyway. Sexuality is far, far too complex to be written down to just one thing. And, to be perfectly honest, I would not be surprised if parenting explains homosexuality in *some* people — again, I emphasize *some*. Not all. Not even most. And I don’t mind that at all. I had it pretty good with my parents, and so if they did something to make me gay, well they gave me a whole bunch of other gifts in addition to that one. Thank you, Mom and Dad! I’d offer a suggestion that people are “hung up” on that question because there is likely to never be a single moral category for actions that are freely chosen versus those that are viewed as somehow fundamental impulses, drives, or characteristics.
. . . there is likely to never be a single moral category for actions that are freely chosen versus those that are viewed as somehow fundamental impulses, drives, or characteristics. The older I get, the more I seem to lean toward believing that so-called “choices” have an inevitability about them induced by the aggregation of an individual’s unique biological factors and environmental experiences. Jim said “Well, no, he is not spreading lies. Homosexuality is *not* strongly related to genetics. In fact, what links that have been made are, so far, weak and somewhat circumstantial. About as weak and circumstantial as the studies that used to claim that it was all about parenting.”. Well, we can debate about what strongly means, but certainly the twins studies at a minimum show genetics is a significant factor. To say the evidence is “weak and circumstantial as the studies that used to claim that it was all about parenting.” isn’t even remotely true. I know a lot of people want to give Throckmorton credit for the progress he’s made in the last couple of years but let’s not deny that he’s exagerating when he says gayness is not strongly related to genetics. “It troubles me greatly to learn that anything I have written would cause anguish for you or others who are seeking answers to the basis of homosexuality. The words quoted by NARTH all come from the Appendix to my book â€œThe Language of Godâ€ (pp. 260-263), but have been juxtaposed in a way that suggests a somewhat different conclusion that I intended. I would urge anyone who is concerned about the meaning to refer back to the original text. Or, as Shakespeare said, “There is a divinity that shapes our ends, rough hew them how we will”? To be fair, I suspect that the best ethical theory cannot be either completely “essentialist” nor, as is the case on both sides of the debate now, divorced from biological understanding. btw, Proverbs 22:6 has a wonderful passage about bringing up a child in ‘the way of him’, which can be interpreted as a kind of understanding and humility of the native talents, gifts, and perhaps even weaknesses. Yes, I do remember that 60 Minutes piece. 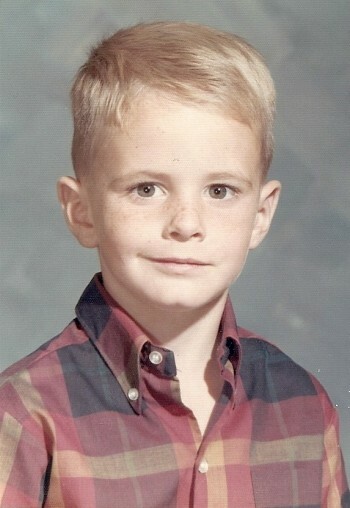 Here is the link to Part 2 which comes back to the little boys near the end – and it’s particularly interesting in light of Kirk’s story. And speaking of twins, here are identical twins that are both gay. They were included in the PBS documentary, Circus, several months ago. My partner and I just finished watching the 5th hour (of 6) tonight. While both are gay, they are different in personality and life goals/ambitions, and ended their circus act because of it. They are well worth a look – trust me on that. Seriously. The whole prenatal hormonal variation thing can help explain the twin thing too, though. Whatever the case may be, there are lots of things in life that Science still can’t explain. For example, scientists still don’t know every chemical reaction that happens at the cellular level or what changes are taking place in the brain when someone is given anesthesia, meaning they still can’t fully explain exactly how it works, but we all know it works. Give someone the right amount of it, and they will fall asleep. This is just a random example. We have been observing that homosexuals exist for all of recorded history. Some of them have obvious physical traits that make them easy to spot. How anyone can argue with a sane mind and a straight face that they choose to be that way is ridiculous. It is also ridiculous to pretend any person knows what’s going on in another person’s mind any better than the person the mind belongs to. How can someone tell me with a straight face that he knows all about my childhood and my upbringing, and that I just must be acting out because Mommy and Daddy weren’t perfect? What a bunch of crap. I will always argue that any gene that causes homosexual tendencies will be mighty hard to pinpoint. I think homosexual tendencies are far more common than most people realize, and there are so many different degrees of homosexual tendencies, from the guy who has never for a second wanted anything to do with women, to the bicurious chick that tried lesbian activity once in college. Wanting to experiment or having the slightest curiosity cannot possibly mean you are 100% straight. Look at all the vitriol we get from men who turn out to be gay themselves. I don’t think the gay gene ever will be found, just like I don’t think you’ll find the gene for a type A personality or shyness or any combination of the 2. I used to foolishly believe people were either gay or straight, and bisexuals were just kidding themselves. That is almost as ridiculous as believing everyone is inherently straight. Now I subscribe to the whole “human sexuality exists on a continuum theory.” The many people I have met throughout my life indicate a lot of validity to that theory. I strongly believe few people are 100% straight. Maybe most are 99% straight, but some degree of tendencies exist in most. So I would equate trying to pinpoint a gene for homosexual tendencies to trying to find a gene for right hand strength. Warren Throckmorton is a very special person – whom I happen to disagree with a bit. I think that the more accurate statement is that a genetic correlation has not been proved to a reasonable scientific certainty. Nevertheless, twin studies do suggest a link. If an identical twin is gay, the chances are 50% that the other twin is gay. With fraternal twins, that number drops to 25%. Without getting into the esoteric sub-genome, there is a higher correlation with a greater percentage of genetic material. Fraternal twin correlation, while lower, is still several times the the random incidence. What a about nurture? Well, then wouldn’t the fraternal/identical rates be the same? On a related note, the most reliable predictor of sexual orientation remains the male sibling effect. 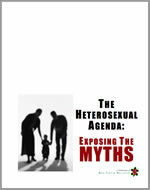 As women bear more male children, the chances that one will be gay rise considerably. Rather than genetics, this suggests that a woman’s hormones change over time with each pregnancy and that these hormones have an effect on sexual orientation. 1. Absence of evidence is not evidence of absence. 2. Organic causation need not be genetic causation. 3. As the APA has been saying for years, there may be a combination of determinants of sexual orientation. 4. It seems highly unlikely that parenting has anything whatsoever to do with sexual orientation. One further observation is that there are millions of sexual orientations. We simplistically categorize these as straight or gay. Imagine a point in the middle of a horizontal line. Further imagine measurement to the left of the line reflects the magnitude of attraction to males; to the right – females. For most people, both lines will be extended where the longer line depicts sexual orientation. People are attracted to men, women, both or none (neither side of the line would be extended). Add sexual identity (which is similarly complex) and the potential combinations are infinite. With this many variable there are no simple answers. The latest rather extensive twin studies out of Sweden suggest that the connection may not be as strong as previously believed based on earlier studies. We follow the science where it takes us… even if we are reluctant to go there. I think that there is a growing concensus that there is not one path to ones orientation, be it gay, straight, or whatever. It may be a combination of factors for most gay people. But it’s possible that in some it’s purely genetic while in another genes have no role. We just don’t know.